Traditional Yet FUN! Get These Amazing Bags For Rs 500 Or Less! Traditional accessories can always add an edge to your attire, especially when they’re a fusion of typical Indian prints mixed with colourful, neon and pop colours! It’s a win-win for everyone, right? 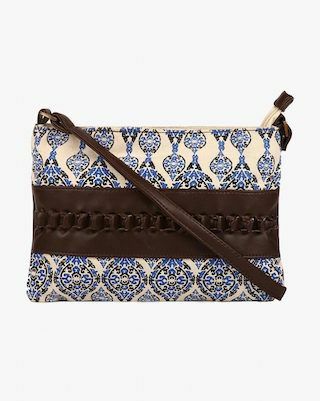 A handbag is one such statement accessory that no girl can live without, and that’s why we have the best selection of traditional printed bags for you right here. Check them out now! 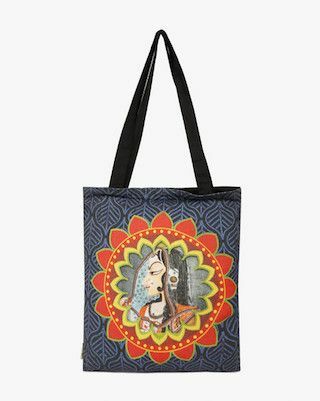 This bag will go with all your ethnic and western wear. If you want to make the bag the centre of your outfit just keep the colours of your outfit muted in comparison. Price: Rs 324. Buy it here. A blue and red combination is something that goes well with every outfit. The little tassel detail and the jaali design captures the 21st century vibe for every fashionista. Price: Rs 349. Buy it here. This sling is the right one to carry for a day out with friends. It’s functional and stylish, especially the print and leather combination that’s so subtle but yet glam. Price: Rs 359. Buy it here. 4. Back To The Mughals! A quirked up version of the Mughal princesses, with a nice artistic twist. A fun college bag you can flaunt with lots of space to keep your world in it! Price: Rs 349. Buy it here. Nothing as fun looking and bright as a peacock, right? The ultimate Indian motif that can add an ethnic twist to everything. 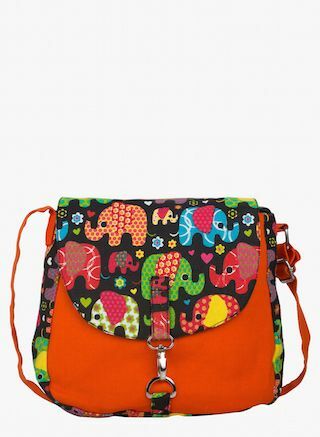 This bag is the one to "add to cart", right away! A sorbet of colours that are bright and will go with your casual attire. 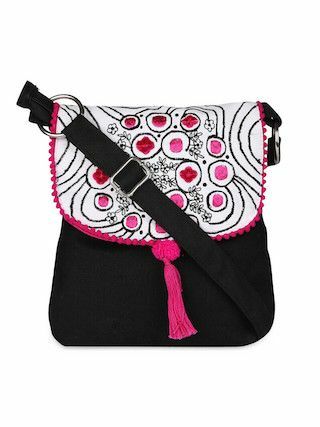 This canvas bag can add a vibrant twist to your outfits so easily! Price: Rs 454. Buy it here. 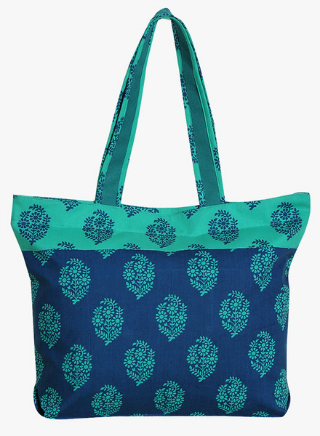 The colour indigo has made quite a comeback this year, and this traditional bag with block print is simply too pretty. 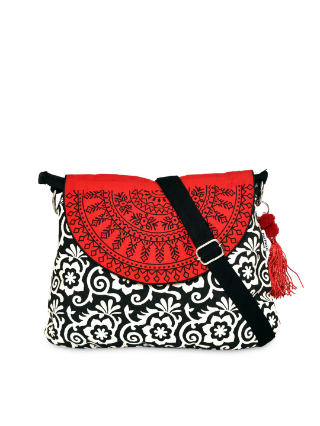 It’s perfect to carry every day, especially when you’re wearing an ethnic outfit! Price: Rs 359. Buy it here. 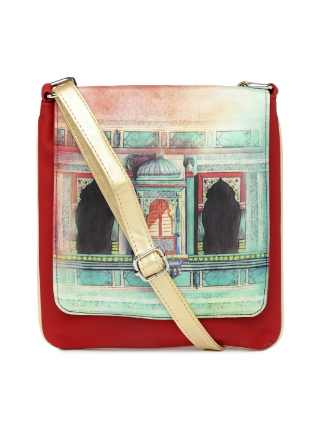 This traditional printed bag will look super cool when you take it out for a spin with a white dress. 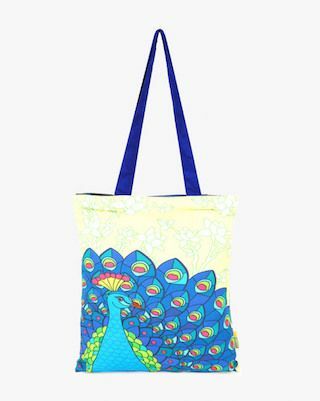 The mix of blue and green on the bag will make it an eye-catcher. Plus, it’s a lesson in history that’s a visual treat too! Price: Rs 494. Buy it here. 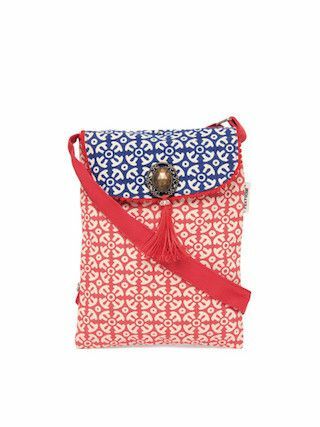 The best part about this entire bag is that cute little tassel hangin’ out on the side. With a traditional Indian print such as this, you can team it with your ethnic wear and be sure to make a statement. Embroidered on the flap, this bag is a steal for the price. 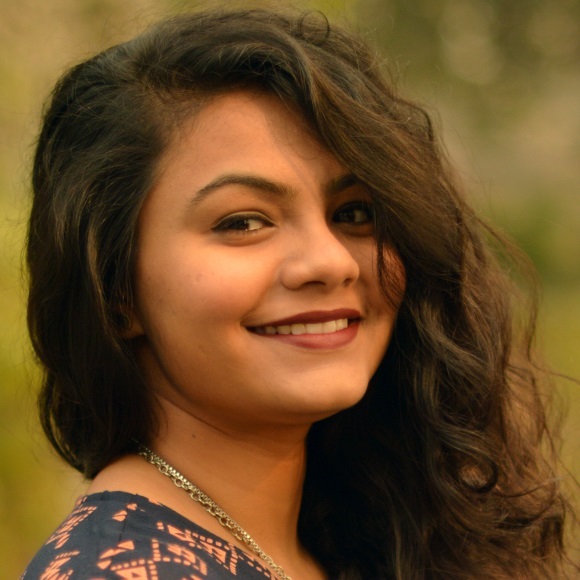 You can pair it with a casual t-shirt, a pair of distressed denims and flats sandals and you'll look effortlessly chic! Price: Rs 399. Buy it here. 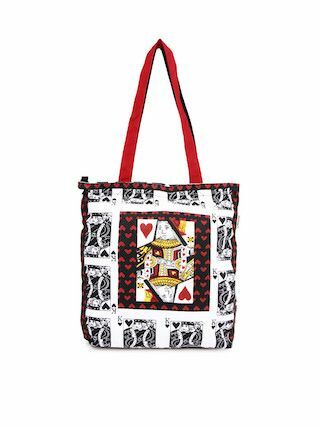 When was the last time you played a game of taash and felt like the queen of hearts? Well, now is the time! Just be sure you’re wearing something that doesn’t clash with this too much. Price: Rs 399. Buy it here. 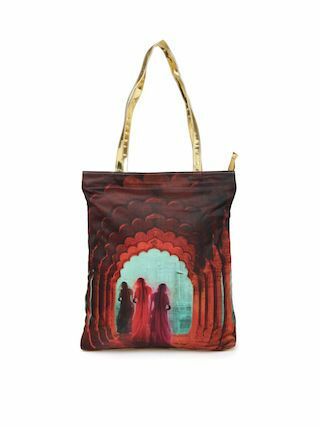 This bag will instantly remind you of a bygone era, or probably of some folktales your grandmom told you about her ancient haveli or ancestral house. The colours make this a sure winner too. Price: Rs 499. Buy it here. 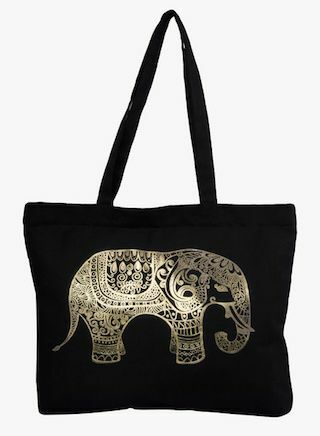 A simple black and gold traditional bag for you to get on with your daily work. 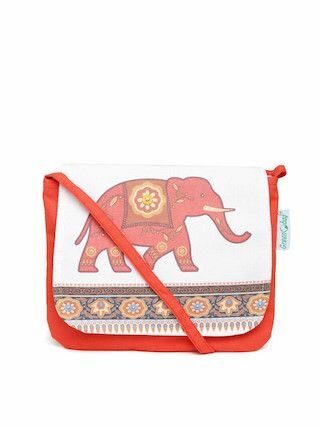 Spacious, chic and good to run your daily chores with, or even to use as a gym bag! Price: Rs 454. Buy it here. A place where girls can talk about ANYTHING. (No guys allowed!) ? ? Get the POPxo app NOW on Play Store and iOS App Store.